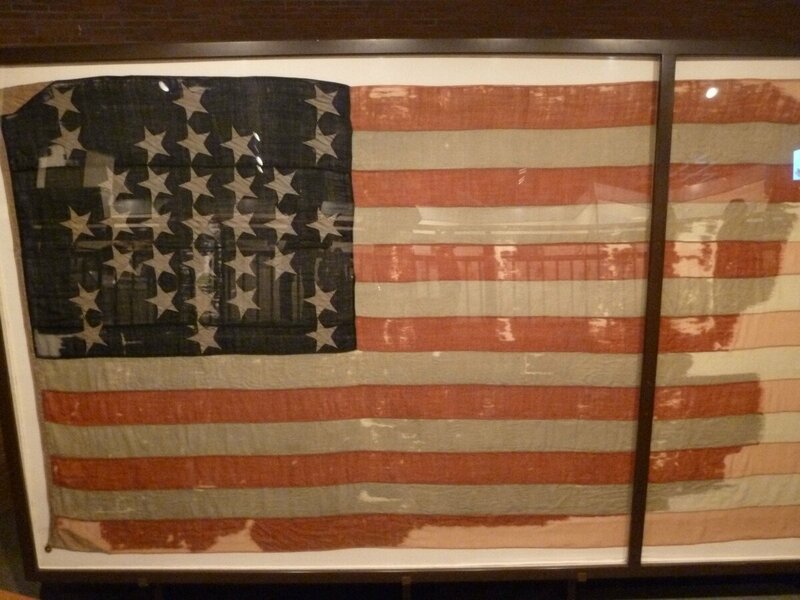 Civil War, in U.S. history, conflict (1861–65) between the Northern states (the Union) and the Southern states that seceded from the Union and formed the Confederacy. 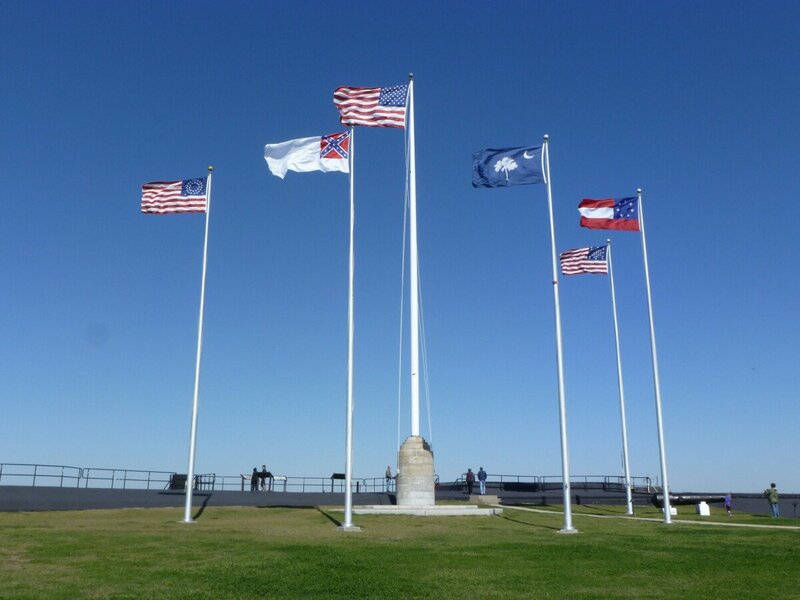 It is generally known in the South as the War between the States and is also called the War of the Rebellion (the official Union designation), the War of Secession, and the War for Southern Independence. The name Civil War, although much criticized as inexact, is most widely accepted. 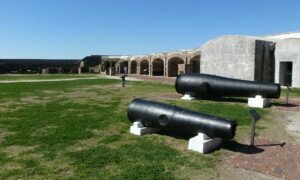 It was a brutal and bloody war, that took it’s toll on this country in a way it had never seen before or after. 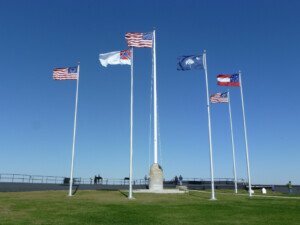 More than three million men fought in the Civil War about 900,000 for the Confederacy and 2.1 million for the Union. 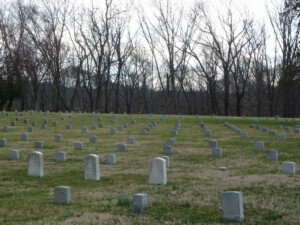 More than 620,00 people or two percent of the population, died in the Civil War. 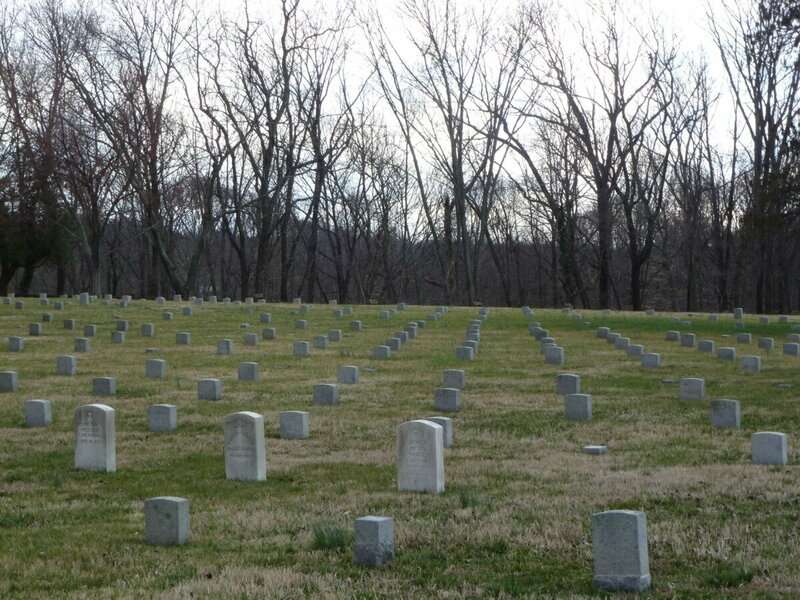 Based on the current population that would be equivalent to over 6,000,000 people dying today. Approximately 6,000 battles, skirmishes and engagements were fought during the Civil War. 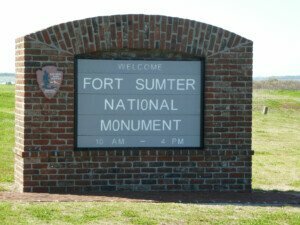 On April 10, 1861, Brig. 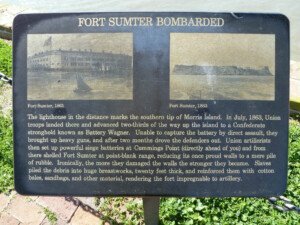 Gen. Beauregard, in command of the provisional Confederate forces at Charleston, South Carolina, demanded the surrender of the Union garrison of Fort Sumter in Charleston Harbor. Garrison commander Anderson refused. 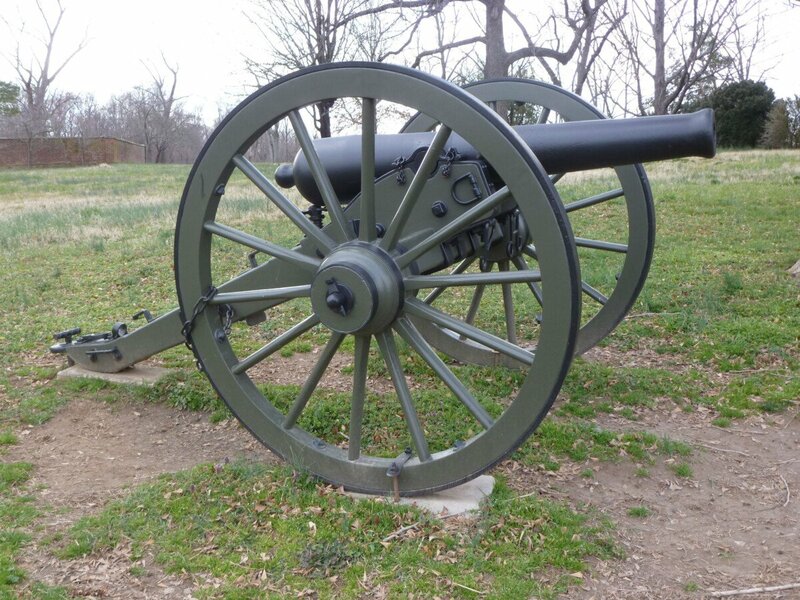 On April 12, Confederate batteries opened fire on the fort, which was unable to reply effectively. 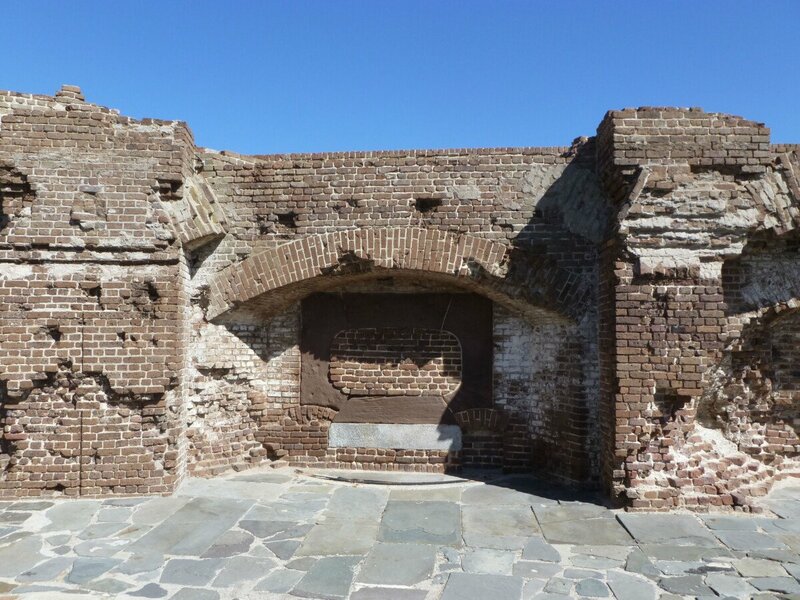 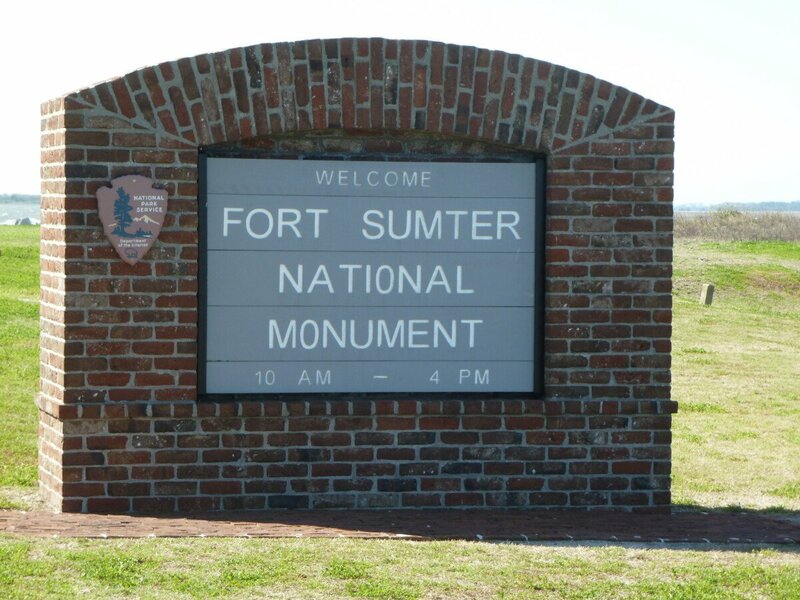 At 2:30 pm, April 13, Major Anderson surrendered Fort Sumter, evacuating the garrison on the following day. The bombardment of Fort Sumter was the opening engagement of the American Civil War. 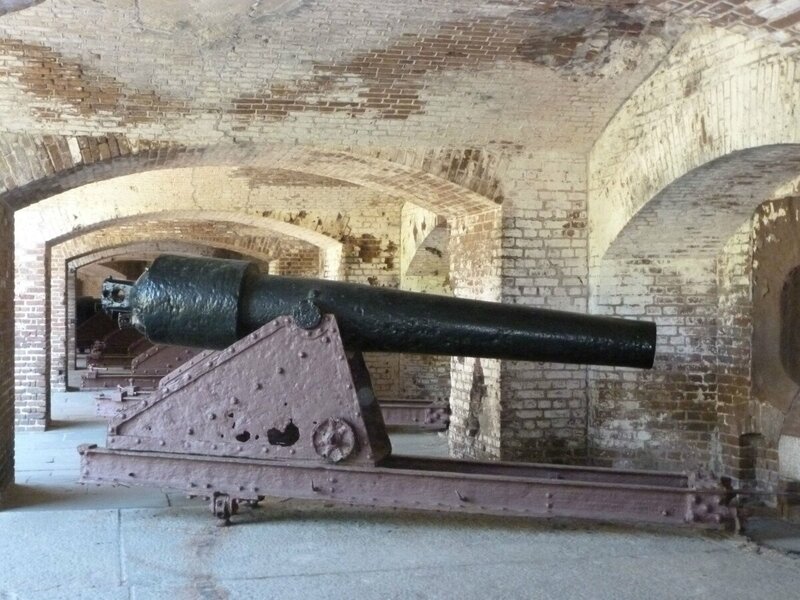 Although there were no casualties during the bombardment, one Union artillerist was killed and three wounded (one mortally) when a cannon exploded prematurely while firing a salute during the evacuation on April 14. 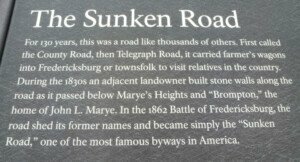 The Battle of Fredricksburg, December 11, 1862 along the Sunken Road and Marye’s Heights is one of the epic battles of the civil war. 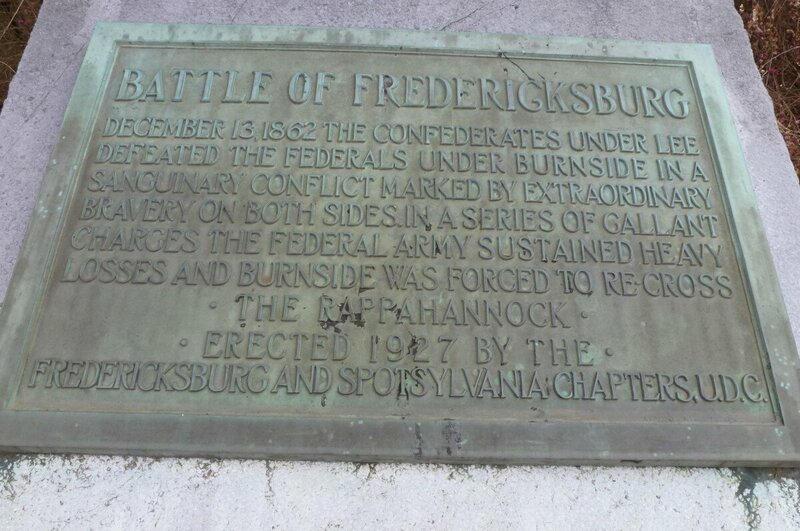 Union troops bombarded the town from Stafford Heights then crossed the river on pontoon bridges to confront Robert E. Lee’s Confederates holding fortified high ground to the west. 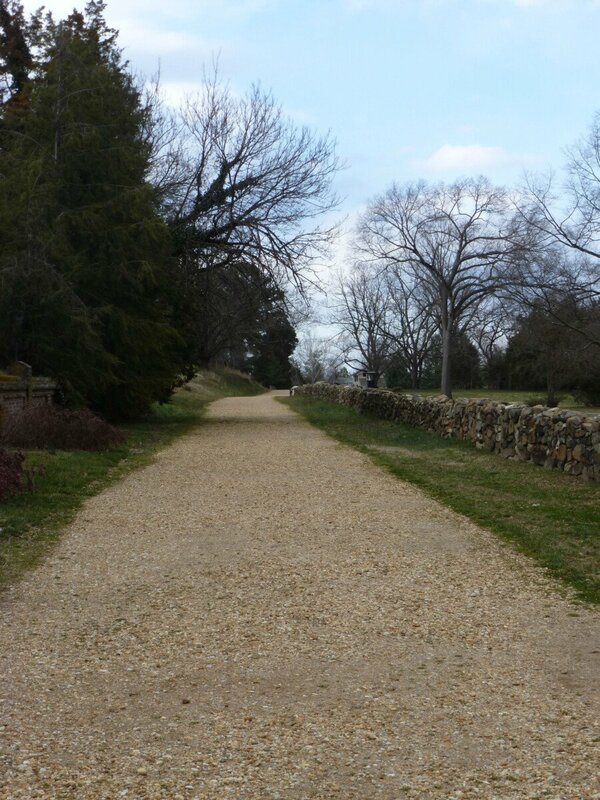 On December 13, Ambrose E. Burnsides Union troops launched a two-pronged attack. 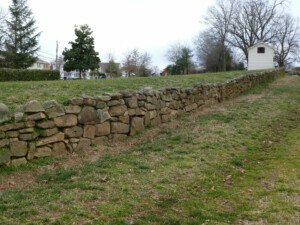 On the south end of the line, they achieved a brief-but-bloody breakthrough against Thomas J. (“Stonewall”) Jackson’s corps at Prospect Hill. 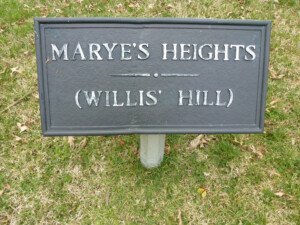 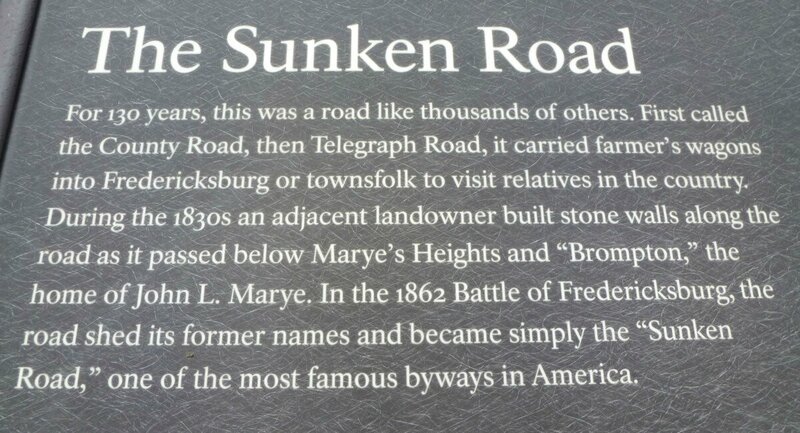 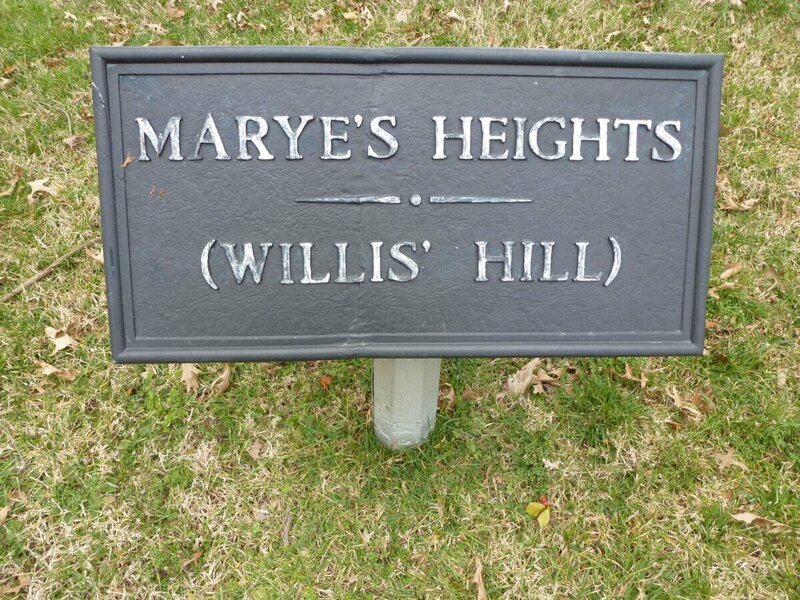 To the north, behind town, waves of Union attackers struggled against the powerful Confederate defenses on Marye’s Heights and in the Sunken Road. 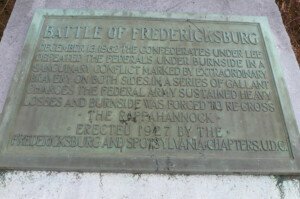 The result was a resounding Confederate victory that left the fields around Fredricksburg blanketed with Union dead and wounded. Looks like another great journey begins! Have fun!